These classes are leveled. Please speak with our director for placement. 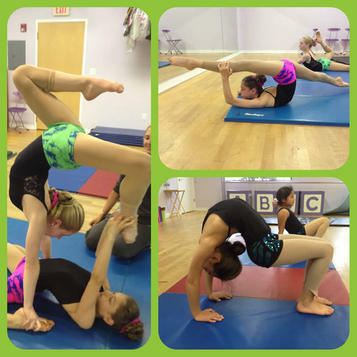 Flip out with our rockin’ acro program! Our unique approach gleans the best attributes of traditional acrobatic, contortion, and tumbling training to allow our dancers to increase stretch, strength, and stamina while gaining balance, control, and the technical tactics of proper form to approach new skills safely— All making the mastery of fun and fabulous tumbling/contortion tricks attainable. The best part? 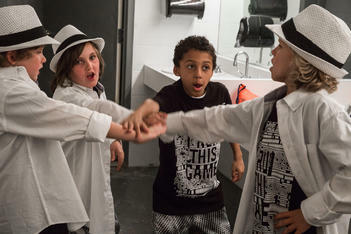 We turn these creative skills into unique dances that will wow your friends and family! Sound Fun? Grab 6 friends and we'll open a class for you! [7 student minimum]. Ages 9-18 (Junior & Teen = 55 min). 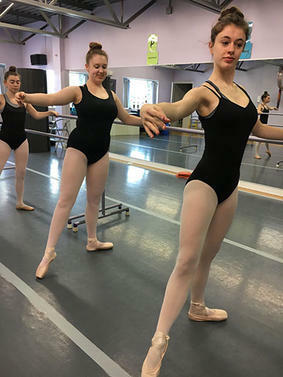 Strengthening barre exercises enable each dancer to work at her own pace to attain the “brass ring” of children’s ballet: the Pointe shoe. By audition/invitation. 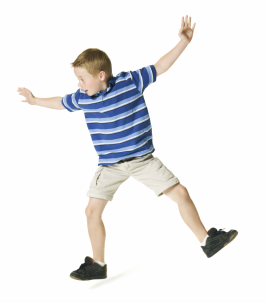 Be sure to let your teachers know if Pointe is your goal and ask for our complete outline of Pointe requirements.